From the rear side cover: When No. 72 (Basutoland) Squadron received orders at Ayr in August 1942 to prepare for overseas service as a ‘mobile’ fighter squadron, little did either its pilots or ground staff know that by November of that year, their Squadron would be part of the first major Anglo/American amphibious operation to be launched in the European theatre in the Second World War. This expedition was given the codename ‘Torch’. Its primary objective was to make landings in Morocco and Algeria. 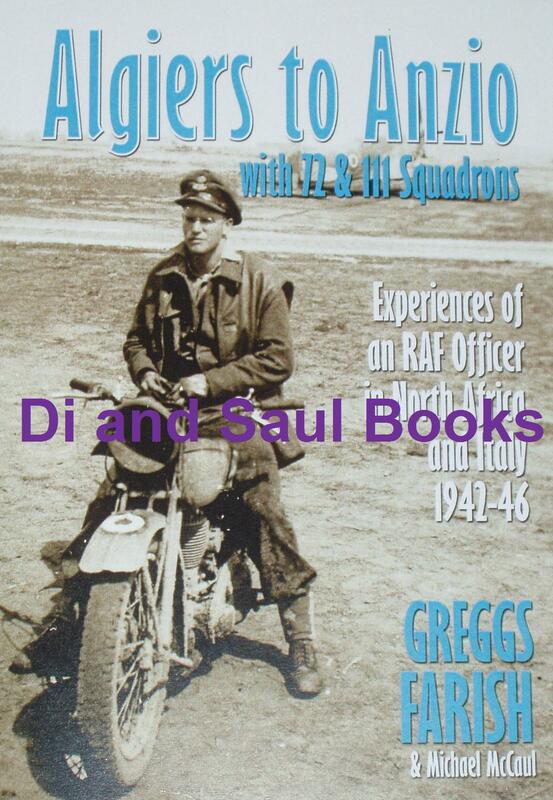 It was then to be the task of those who had landed at Algiers to drive eastwards to Tunis, to occupy Tunisia as soon as possible, and vitally, to secure airfields on the way for use by the Royal Air Force, operating in support of the land forces known as the British 1st Army, formed in July 1942. Greggs Farish served as Engineer Officer with 72 Squadron in French North Africa, Malta and Sicily from November 1942 to September 1943, and with 111 Squadron in Italy from October 1943 to February 1944.